Vitamins serve a variety of purposes for the body, and one of the most beneficial effects is the ability to help control appetite. Certain vitamins naturally control appetite, boost the metabolism and contribute to reduced body fat, according to Natural News online. These vitamins provide a healthy way to decrease hunger while allowing for sustained satiety on a lower caloric intake. Some vitamins are more effective than others in reducing appetite, so consult your health-care provider for complete information about which vitamins are most successful. The most useful vitamins for reducing appetite and managing your weight include omega-3 fatty acids. 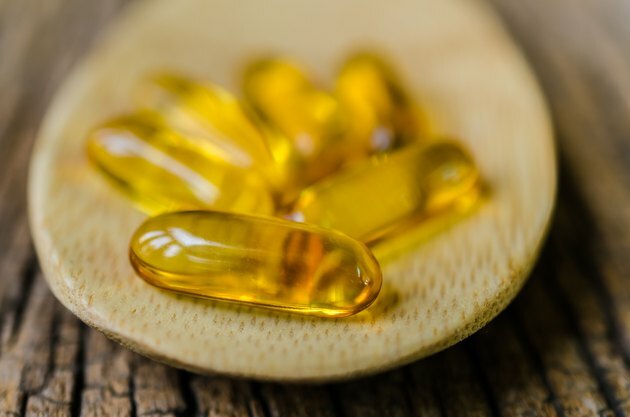 According to Natural News online, omega-3 fatty acids provide your body with the essential nutrients that need to be compensated on a decreased calorie, weight-loss diet. Eating a diet rich in omega-3 fatty acids may result in a significant reduction in appetite and hunger. They also provide the body with a number of other health benefits at the same time, including improved neurological and cardiovascular health, enhanced mood and cognitive function, decreased inflammation, and healthy skin and hair. Supplying the body with adequate levels of essential vitamins can help control weight, and some of the most effective vitamins include those of the vitamin B complex group. According to AnneCollins.com, B vitamins such as vitamin B2, B3, B5 and B6 can control appetite and hunger, encourage normal thyroid function and regulate metabolism. Vitamin B3 is also a component of the glucose tolerance factor, which is released when blood sugar levels rise. This effect helps to stabilize spikes and dips in blood sugar. Vitamin B5 also plays a significant role in energy production and adrenal function to help increase weight-loss efforts. Another effective B vitamin in appetite control is vitamin B6, which also normalizes thyroid hormone production and regulates metabolism. Vitamin C has a number of health benefits, including the ability to control appetite, cravings and addictions, according to Springboard4Health.com. The most effective vitamin C for controlling appetite is buffered vitamin C, which also contains calcium and magnesium. This particular form can help control weight due to its anti-addictive function. Taking buffered vitamin C regularly may help counteract harmful food reactions, food cravings and withdrawal symptoms. Do Vitamins Interact With Metformin? Does Vitamin B-12 Make You Lose Your Appetite?